Many investors fail because they don’t understand their market, from a lead generation perspective, or from the perspective of their would be buyers. Chris Seder tells us more in this FlipNerd.com Flip Tip! 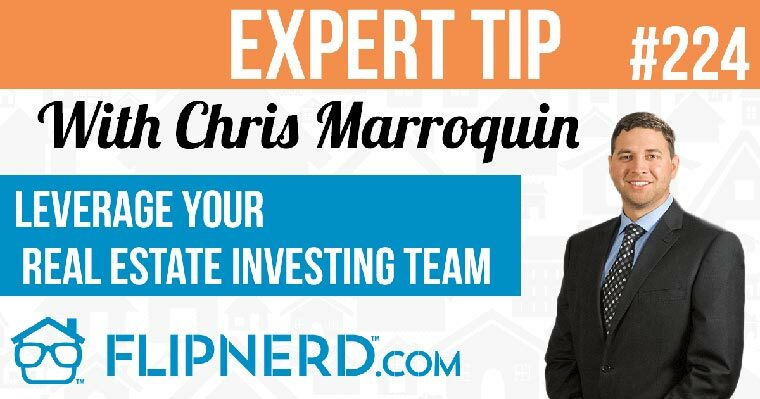 Mike: Hey, it’s Mike Hambright from FlipNerd.com and we have a quick VIP tip to share with you from Chris Seder, who’s going to share with you a tip on the importance of doing your market research. Chris: All right. One of the biggest things that I see why new real estate investors and even experienced real estate investors fail is they really don’t do their market research correctly in the beginning. What I mean by that is whether you’re wholesaling, rehabbing, you need to know the exact areas where you’re going to focus, because if you just focus on the entire area, you’re going to be wasting a ton of marketing money and a ton of time. What you really want to do is dive deep into that market. To do that, what we do is any new market that we go into we go and pull all the cash sales for that market. Then what we do is we sort the data and find the exact areas where there are the most cash sales, but also at a fair price point. We want to avoid the areas where it’s really low income and avoid the high income areas, and hit those middle income areas where most real estate investors that we know, that’s where they want to buy. They don’t want to buy in the ghetto, they don’t want to buy too high-end. So really diving deep and knowing those exact areas, so you can really target your marketing to the top three to five ZIP Codes is going to be the most effective strategy.